SKU: MM45-3098 Categories: Red & Green Christmas, Scandi Christmas, Natural Kraft Christmas, Neon Christmas, Multicolour Christmas, Christmas Garlands, Garland, ON SALE! The stylish Pom Pom Christmas Garland is a lovely option for your festive decorating. 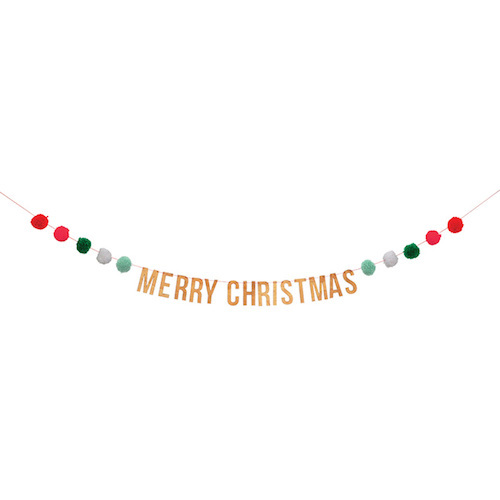 It has colourful pom poms alongside Merry Christmas letter pennants which have been crafted in a pale wood. All suspended on neon coral cord.